This page includes latest and updated SAT Test Dates 2018 and SAT Registration deadlines. College Board conducts SAT test across the world. SAT Test Dates are same for all countries. SAT test schedule helps in planning for SAT Preparation. Every year, College Board announces seven different dates for SAT test to conduct at different months. These dates answer an important question: When to take SAT? For SAT Preparation, you must have at least 2 months prior your desired SAT test date. A good SAT preparation will make sure your undergraduate admission with scholarships. Scholarships are based on many factors; one of the most important is SAT score. If you prepare really good and well before SAT test date, you will increase your chances for getting high SAT score. SAT Test Date: This is the date when you will be taking your SAT test. Early Registration: This is the date when you need to submit normal SAT Test fee i.e $46 without Essay section and $106 with Essay section. Last date for SAT Registration: This is the date when you have missed last date for SAT registration and want to register for SAT on urgent basis. You need to submit extra fee. Visit Late SAT Registration Fees page for further details. 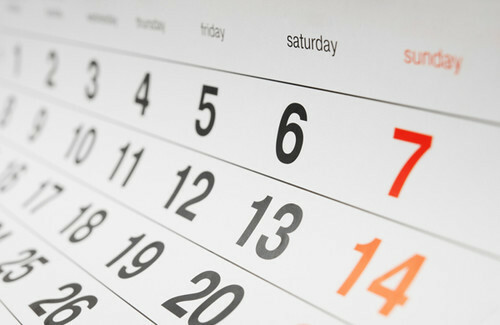 Online SAT Score: This column contains dates when the online SAT score will be available after you appear in SAT test. All in all, you have to plan well before your desired SAT test date. Applying to undergraduate program is not a piece of cake. You must not regret on waste of precious time later on while applying to your dream college or university. Because when things are too much to do and time is less, you most likely make mistakes in hurry. Remember that a successful applicants plan well before others to make highly competitive application.